Opening the Doors @ Publika! Clients and friends alike (many clients have since became my personal friends) can now come over to the showroom for consultations, measurements, fittings, or just come hang out and chit-chat! The workspace in the gallery is now set up to tailor to these needs, and the comfy sofas strewn around the room would be heaven for the husbands-to-be with tired feet. 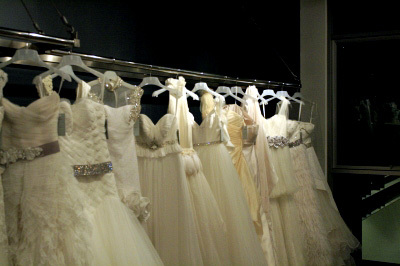 I finally get to display my dresses! Hoorah! 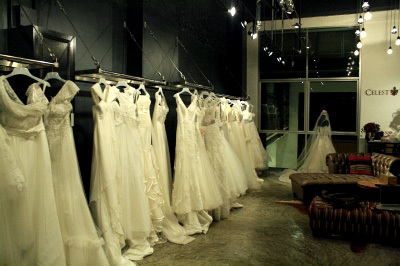 The fitting room – large enough to accommodate the happy bride, the anxious husband-to-be, and hordes of well-wishing girlfriends. Having trouble finding the place? I’ve put a pin on Google Maps! 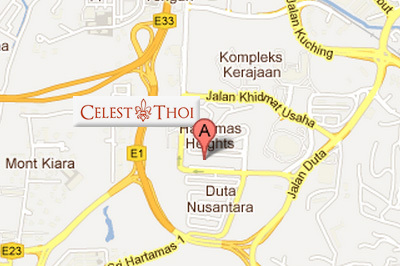 Just look for ‘Celest Thoi map’, and let Google guide you to that little red pin right smack in the middle of Publika. Red pin marks the spot. 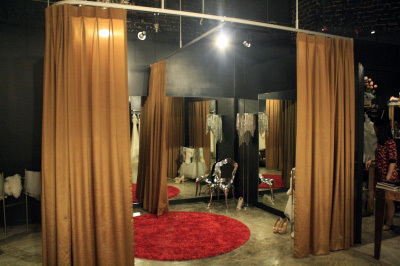 Understandably, it can be a bit difficult to find my showroom in Publika. Here’s a concise guide; follow it to the letter, and you won’t miss it! Step 1: Get to Publika…head for the West Gate entrance where BIG supermarket is…just follow BIG Supermarket’s signages when driving. Step 2: Go towards Plan B or i-Store. Step 3: Once you’ve found Plan B and i-Store, step into the lift lobby nearest to iStore that says Block B2 and go up to level “1”. Step 4: Step out of the elevator and on your left, you’ll come across a non-descript door. Open it, turn left, and you’re there! A quirky yet stark interior, thanks to my artistically inclined husband and my own whimsical fancies. Spread the good news and cheers! 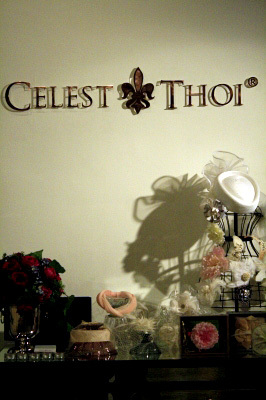 Celest Thoi is (yet again) in business! This working mum can be found at her store from 11 a.m. to 7.00 p.m., Tuesdays to Saturdays. Sundays and Public Holidays, appointments essential. Monday is rest day. 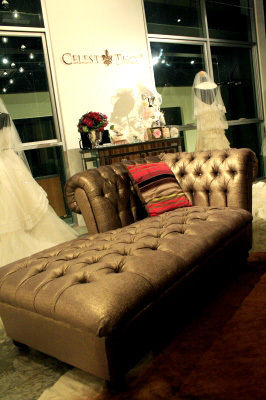 For consultations, kindly call 013-524-0026 to make an appointment!